It is entirely appropriate that ABC’s last ever IndyCar broadcast involved a pace car crash during the parade laps that they missed while away at commercial, utterly destroying a brand new Corvette and delaying the start by thirty seven minutes. 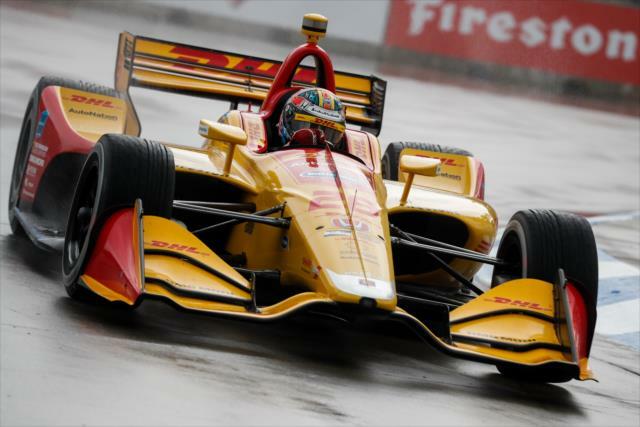 It was less so that Honda absolutely schooled Chevy in their hometown yet again, sweeping both races rather easily and awarding AA’s Ryan Hunter-Reay the trophy Sunday. Despite a positive public face and Power’s podium, the Cap’n could not have been happy. RHR earned the victory, for much of the race looked like a Rossi runaway, the 500 winner starting from pole after emerging from a drenched morning qualifications. Overcoming adversity after a podium finish Saturday, the victor spun into the tire barrier during quals Sunday morning and received a penalty for his trouble, losing his fastest two laps of the session. 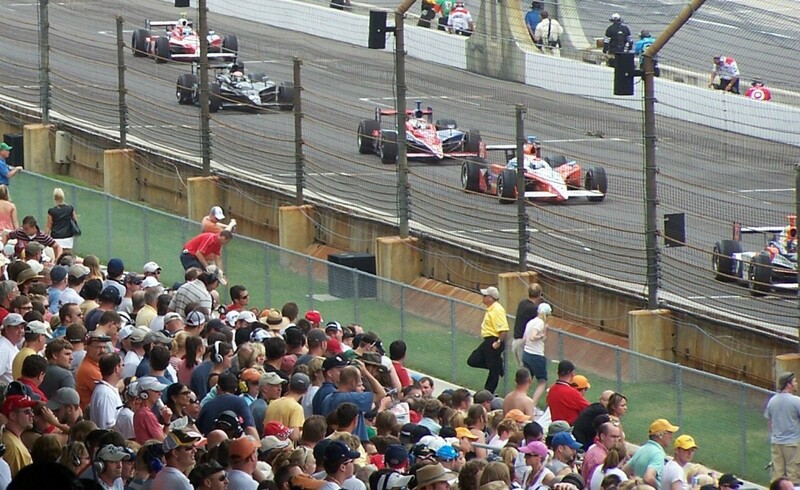 As a result Hunter-Reay started back in tenth position. He wouldn’t be deterred.